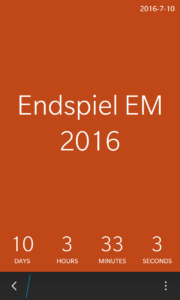 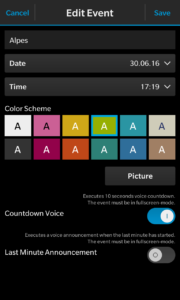 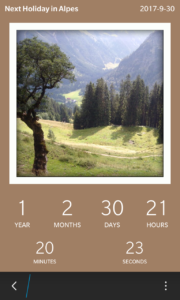 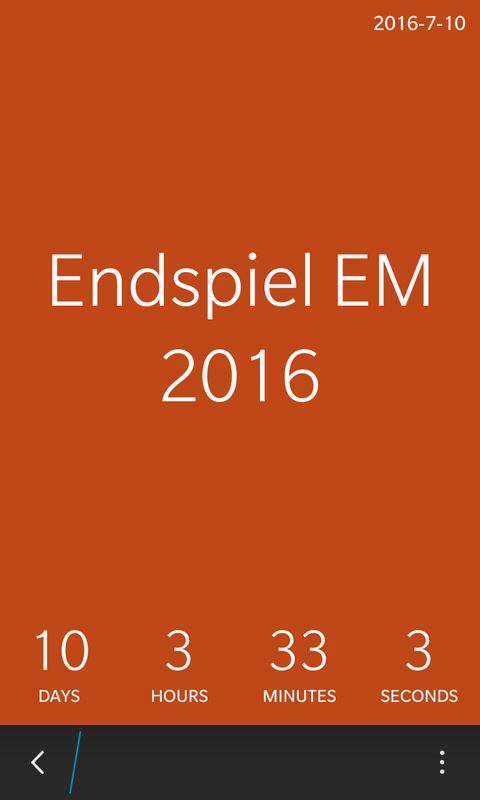 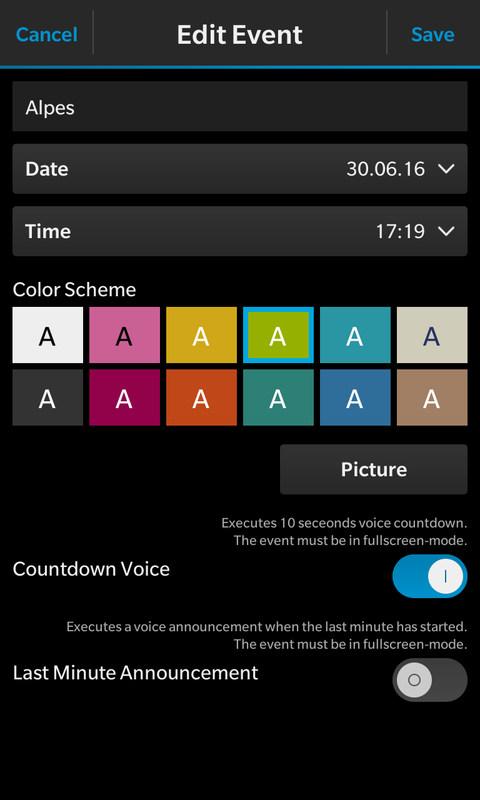 The Countdown-App helps you to monitor the remaining time until important events occurre. 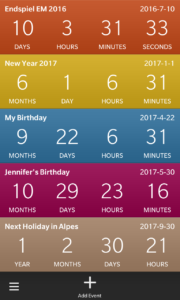 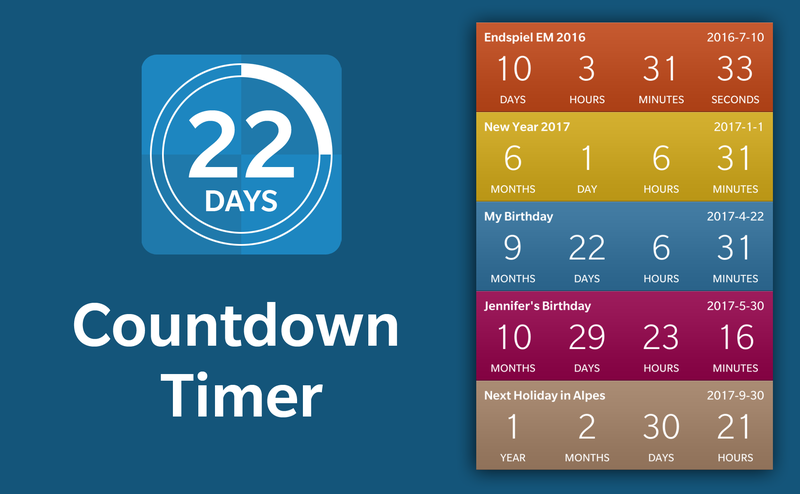 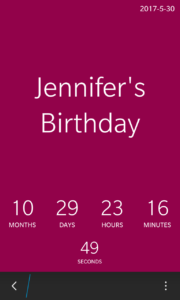 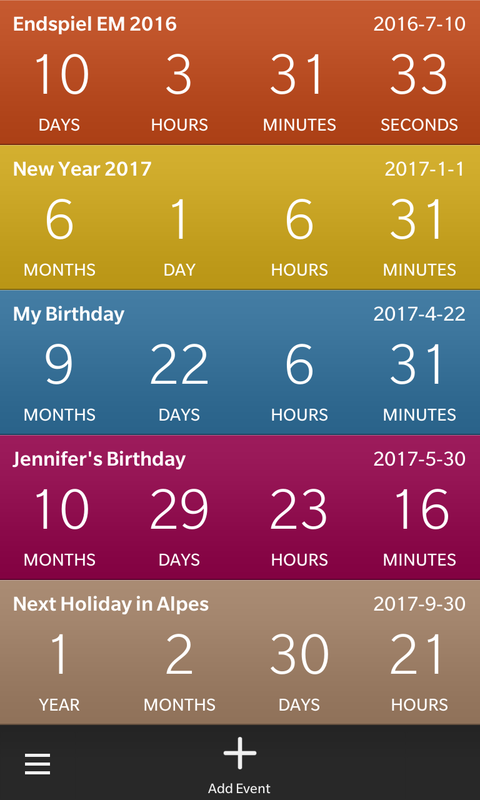 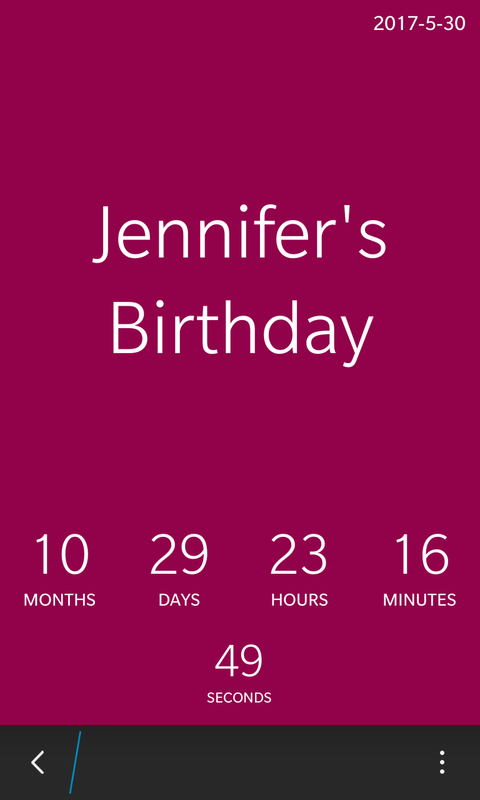 Add birthdays, holiday seasons and sporting events to the timer list an watch, in how many years, months, days, hours, minutes and seconds the event will occur. 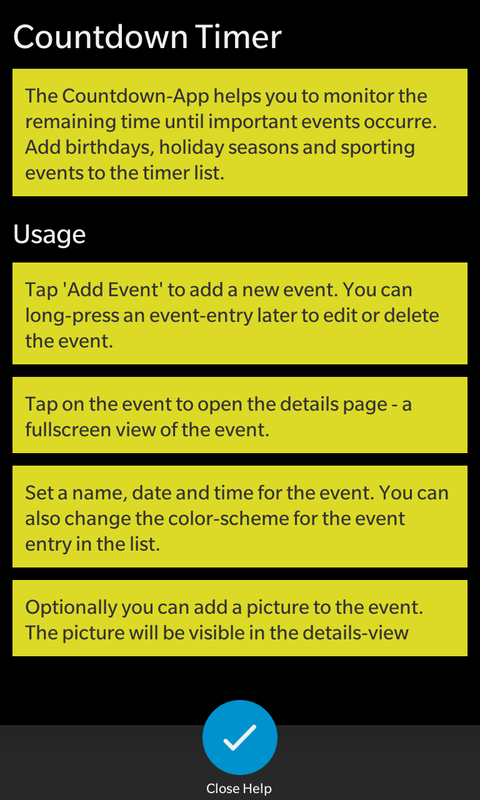 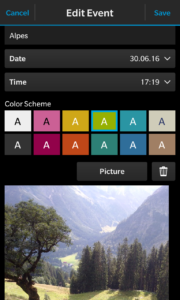 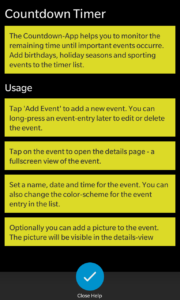 Add a picture to an event optionally.